Maria Parr is the author of Adventures with Waffles, which has been translated into twenty-six languages and made into a children’s TV series in Norway. Astrid the Unstoppable has been translated into nineteen languages and adapted for the stage. Maria Parr lives in Norway with her family. Guy Puzey grew up in the Highlands of Scotland, just a short swim away from Norway. He now works at the University of Edinburgh as a teacher of Scandinavian linguistic history, children’s literature, and literary translation. The stylish turns of phrase and swift-paced storytelling, a credit to the translator as well as the author, make the escapades highly suitable for reading aloud in chapters as well as reading alone. Either way, Astrid is a bold, resilient, and emotive heroine whose challenges are just believable enough to bring them within audience reach and whose life will be completely irresistible to young readers. Drama and humor are interwoven throughout the well-paced narrative, which transports readers to a distinctive locale and introduces vividly drawn, memorable characters. Small drawings at chapter headings and a double-page map add visual appeal. Norwegian writer Parr, whose Adventures with Waffles (2013) has been translated into many languages, offers another original chapter book with a strong sense of place and international appeal. Imbued with a Scandinavian sensibility, this novel by Parr (Adventures with Waffles) presents fun alongside concepts such as death, physical distance between friends, and estrangement in an age-appropriate format, and both encourages readers to question new ideas and offers a fertile foundation for imagination. 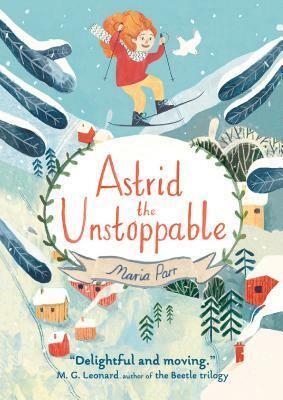 Fans of Pippi Longstocking and the Moomins will delight in Parr’s indomitable Astrid. Parr's original Norwegian text, published in 2009, has been compared to Heidi and Pippi Longstocking, and Puzey's translation effortlessly conveys that sense for American readers. The warm tone and endearing characters do most of the heavy lifting here...An excellent translation of a contemporary European classic.